Gears are Power transmission elements. It is the Gears that decides the torque, speed and direction of rotation of all the driven machine elements. Broadly speaking, Gear types may be grouped into five major categories. They are Spur, Helical, Bevel, Hypoid, and Worm. A lot of intricacies are there in the different types of gears. Actually The choice of gear type is not a very easy process. It is dependent on a number of considerations. Factors that go into it are physical space and shaft arrangement, gear ratio, load, accuracy and quality level. A number of gears are manufactured using different materials and with different performance specifications depending on the industrial application. These gears are available in a range of capacities, sizes and speed ratios, but the main function is to convert the input of a prime mover into an output with high torque and low RPM. These range of gears find use in almost every industry right from agriculture to aerospace, from mining to paper and pulp industry. Spur gears are straight-toothed gears having radial teeth used to transmit power and motion between parallel axes. These gears are widely used for speed increase or reduction, high torque, resolution for positioning systems.These gears can either be mounted on a hub or a shaft. The gears are available in different size, design, shape and also offer a variety of features and functions to cater to different industrial requirements. Metal- steel, cast iron, brass, bronze and stainless steel. Plastic- acetal, nylon and polycarbonate. Materials used to manufacture these gears are used keeping in mind certain factors including design life, power transmission requirements, noise generation. Bevel gears are mechanical devices used for transmitting mechanical power and motion. These gears are widely used for transmitting power and motion between nonparallel axes and are designed to transmit motion between intersecting axes, generally at right angles. The teeth on bevel gear can be straight, spiral or hypoid. The gears are suitable when the direction of a shaft’s rotation needs to be changed. Metal – Steel, cast iron and stainless steel. Plastic – Acetal and polycarbonate. Helical gear is a popular type of gear having its teeth cut at an angle, thus allowing for more gradual and smoother meshing between gear wheels. The helical gears are a refinement over spur gears.The teeth on helical gears are specially cut at an angle, so as to face the gear. As two teeth on the gear system engage, it starts a contact on one end of the tooth which gradually spreads with the gear rotation, until the time when both the tooth are fully engaged.The gears are available in different sizes, shapes and designs to meet the customer specifications. These gears can be manufactured from superior quality materials including stainless steel, steel, cast iron, brass etc. depending on the application. These gears are used in areas requiring high speeds, large power transmission, or where noise prevention is important. A worm gear is a type of gear, engaging with a worm to significantly reduce rotational speed, or allowing higher torque to be transmitted. The gear can achieve a higher gear ratio than spur gears of the same size. The gears can operate under difficult conditions and have the ability to achieve large speed reductions. The gears also transmit high loads at high speed ratios. As generally seen grinding is most of the time conceived in context of quantity fabrication of superior quality gears as a form of secondary refining procedure. We incline to forget that grinding is essentially a basic process in the step towards production of case hardened gears. Moreover, the teeth of precision-engineered fine-pitch gears completely ground from the blank itself.The advent of trawling also led to the development and manufacturing of Ground Gears. Ever since then ground gears have made substantial improvement in the terms of designing and component accuracy. These gears assure high transmission accuracy and deliver superior efficiency, greater load capacity, and correction of profile and durability.Ground gears can be made using different materials, such as cast iron, carbon steel, alloy steel, hardened steel, bronze, and more. High Precision: Achieving high precision is not a difficult task for ground gears since in the grinding process, there is little removal of material in the final pass. Superior Surface Finish: Grinding makes the surface of ground gears more shiny than that obtained from any other machining technique. Improved Flexibility: Hardened steel alloys can be used to developed into ground gears that gives its added flexibility. Minimal Surface Stress: There is minimum residual surface stress in ground gears. Load Carrying Capacity: Ground Gears exhibit a higher load carrying capacity. Minimal Wear and Tear: Ground gears have minimal wear and tear that results in prolonged life. There is a limit to grinding procedures and that is to ferrous material. Hard metals can be grind in an efficient and better way than the soft ones. In case of worm or helical gears, grinding may not be the ideal solution. This is due to the reason that it often involves deviations in terms of removal and profile. Gear grinding machines are not as popular as hobbing machinery. Grinding demands higher costs, as it is a secondary operation. High Speed Rotation: Ground gears are ideal for uses in applications that need noise and vibration resistance in the case of high-speed gear drives. An example can be that of ground spur gears. Positioning: CP Racks and Pinions are recommended for perfect positioning applications. In these cases, ground gears are used in calculating for reducing pitch errors. Precision gears are custom-made actuators that can be designed for varying uses and applications. These gears are generally used in applications under conditions of light loading. Precision gears are generally preferred for their precise, smooth, compact, noiseless and reliable performance.Precision gears can be manufactured as per the customer’s drawings or based on a functional description depending on the type of application. 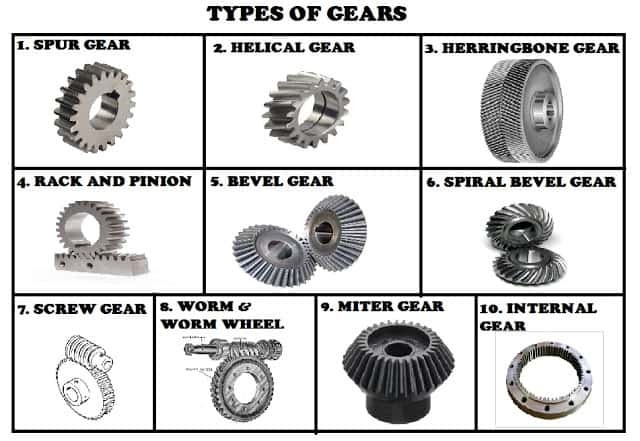 The different types of precision gear products include, – spur gears, helical gears, worm gears, anti-backlash gears, cluster gears, clutch gears, face gears, planetary gears, gear assemblies, gear boxes, bevel gears, miter gears, metric gears, internal gears, idler gears, gear rack & pinion, worms, worm shafts, splines, spline shafts, se shafts, and more. These gears can be manufactured as per the exact customer specifications or according to application need.The quality and performance of a precision gear depends on the quality of blank in which it is cut. Thus it is essential to hold tight tolerances without grinding.Precision gears are known for their trouble free superior performance, long service life, and excellent surface finish and customization capability. These gears are used in a variety of industrial applications, such as heavy machinery Industry, metal casting, metal processing, construction, and more. A rack is generally used for converting rotational motion into linear motion. It is a flat bar onto which the teeth of a pinion gear are engaged. It is a kind of gear whose axis is at infinity. These gears are designed to accommodate a wide variety of applications. These gears ensure quieter and smoother operation. The mechanism provides less backlash and greater steering feel. A sprocket is a gear having metal teeth that meshes with a chain. Also known as a cog wheel, it is a small toothed ring that can fit onto the rear wheel. It is a thin wheel having teeth that engage with a chain. The segment gear, as the name suggests, is basically a gear wheel. These gear wheels are composed of a large number of pieces that are small parts of a circle. A segment gear is connected to the arms or trappings of the water wheel.The segment gear comes with a part for receiving or communicating the reciprocating motion from or to a cogwheel. These gears also comprise of a sector of a circular ring or gear. There are also cogs on the periphery.Segment Gears are available in various finishes, such as untreated or heat-treated and can be designed as a single component or as an entire system. Planetary gear is an outer gear that revolves around a central sun gear. Planetary gears can produce different gear ratios depending on which gear is used as the input, which one is used as the output. The gears are suitable for reduction of high RPM electric motors for use in high-torque low RPM applications. These gears are used in precision instruments because of their reliability and accuracy. An internal gear is a hollow gear with teeth cut on its internal surface. The teeth in such a gear project inwards instead of outwards from the rim. The teeth in such gears can either be spur or helical. The internal teeth have a concave shape with a base thicker than that of an external gear. The convex shape and a strong base help in making the teeth stronger and also creating less noise. The gears are specially designed to accommodate a wide range of equipment. The gears are cost-effective and ideal for a broad range of light-duty applications. The non-binding tooth design ensures smooth and quiet operation. One of the simplest and most used gear units, external gears are extensively used in gear pumps and other industrial products for smooth functioning. These gears have straight teeth parallel to the axis. The teeth transmit rotary motion between parallel shafts. The kind of material used in manufacturing these gears depends on the end use they are being put to.